A complete collection for all students of Power and Electronics Engineering, or for professionals looking for a handy reference book. As a friend of mine once said : perhaps the most valuable collection to possess when the apocalypse hits and we have to rebuild everything! Updated with the latest developments and advances, the second edition of The Electric Power Engineering Handbook has grown so much that it is now presented as a set of five books. Now this authoritative coverage is available in easily digestible portions that are tightly focused and conveniently sized. The fourth installment, Power Systems clearly outlines power system analysis and simulation, transients, planning, reliability, and power electronic components. In addition to extensive updates, new chapters on computational methods and flexible AC transmission system (FACTS) components along with extensive revisions to the planning and reliability section reflect the latest trends in the field. Comprehensive and clear-cut, this introductory volume examines the influence of electric fields on dielectric materials - exploring their distinctive behavior through well-established principles of physics and engineering and recent literature on dielectrics. The exciting new sixth edition of Electric Machinery has been extensively updated while retaining the emphasis on fundamental principles and physical understanding that has been the outstanding feature of this classic book. This book covers fundamental concepts in detail as well as advanced topics for readers who wish to cover the material in more depth. Several new chapters have been added, including a chapter on power electronics, as well as one on speed and torque control of dc and ac motors. This edition has also been expanded with additional examples and practice problems. The use of MATLAB has been introduced to the new edition, both in examples within the **** as well as in the chapter problems. Practitioner Short has selected chapters from Electric Power Distribution Handbook to create this concise, focused reference on the technologies and infrastructure necessary for power distribution along vast distances as well as to local customers. Topics of those chapters include the fundamentals of distribution systems, including urban networks, distribution substations, and differences between European and North American systems; overhead lines, including typical constructions, simplified line impedance calculations, and fault withstanding capacity; underground distribution, including applications, cables, cable testing and fault location; transformers, including single-phase, three-phase, special transformers and loadings; voltage regulation, including techniques, regulators and station regulation; and capacitor application, including reducing line losses and caring for failure and case ruptures. Electric Power Systems explains and illustrates how the electric grid works in a clear, straightforward style that makes highly technical material accessible. It begins with a thorough discussion of the underlying physical concepts of electricity, circuits, and complex power that serves as a foundation for more advanced material. 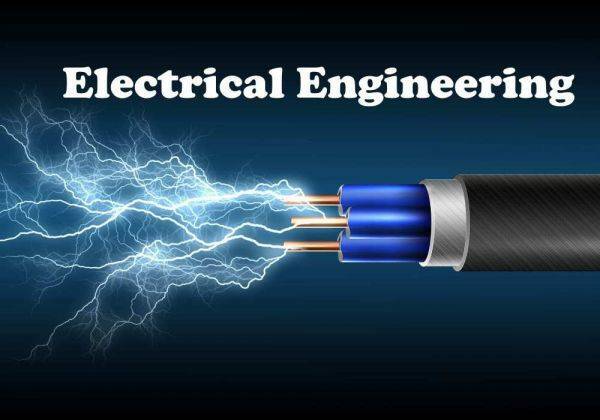 Readers are then introduced to the main components of electric power systems, including generators, motors and other appliances, and transmission and distribution equipment such as power lines, transformers, and circuit breakers. The author explains how a whole power system is managed and coordinated, analyzed mathematically, and kept stable and reliable. Recognizing the economic and environmental implications of electric energy production and public concern over disruptions of service, this book exposes the challenges of producing and delivering electricity to help inform public policy decisions. Its discussions of complex concepts such as reactive power balance, load flow, and stability analysis, for example, offer deep insight into the complexity of electric grid operation and demonstrate how and why physics constrains economics and politics. With its clear discussion of how electric grids work, Electric Power Systems is appropriate for a broad readership of professionals, undergraduate and graduate students, government agency managers, environmental advocates, and consumers. The CRC Principles and Applications in Engineering series is a library of convenient, economical references sharply focused on particular engineering topics and subspecialties. Each volume in the series comprises chapters carefully selected from CRC's bestselling handbooks, logically organized for optimum convenience, and thoughtfully priced to fit every budget. Electrical Measurement, Signal Processing, and Displays describes the use of instruments and techniques for practical measurement of electromagnetic variables, signal processing equipment and parameters, and various types of displays, from cathode ray tubes to LED devices. For this volume, chapters relevant to these topics were culled from the bestselling Measurement, Instrumentation, and Sensors Handbook and revised by their original authors to bring them thoroughly up to date. This is a concise, well-illustrated, and highly practical reference. It sets forth the principles, formulas, and equations engineers and scientists need for solving the instrumentation and measurement questions they encounter in practice, particularly when problems arise in areas outside their own specialties. This Second Edition has been expanded and updated to reflect the increasing sensitivity of microelectronic devices and the ever-growing stress placed upon the power grid. This much-needed resource discusses every essential aspect of basic power quality and methods used to protect electronic systems and on understanding the causes of power quality problems and learning how to prevent them. -Based on feedback from over 350 faculty members at workshops in 1991, 1994, 1997, 1998, 2002 and 2003. Power electronics is a broad subject that deals with every aspect of electronic systems and devices. Any computer, machine, controller, game, etc., that is available today is dependent on the power electronics in those systems and devices to operate. Power electronics systems deal with the process of converting electrical power from one form to another. Power Electronics Handbook is specifically designed for the professional engineer in industry and includes contributions of over 60 authors primarily from industry. Power electronics is most frequently thought of because of its importance in supplying and converting an uninterruptable power supply to computers. The growth in computational power, communications applications, data storage, and memory systems has put the common layperson directly in contact with power engineering devices and challenges such as surge protectors and power failures. However, the field of power electronics is involved in all electronic devices and sytems. Examples include residential (refrigeration, heating, *****ng, audio/video), commercial (lighting, office equipment, elevators), industrial (pumps, compressors, fans, robots, lasers, welding), transportation (automotive electronics, electric trains, battery chargers), and telecommunications (battery chargers, power supplies). All engineers involved with system and device design must deal with the fundamentals and advances of power electronics. This Handbook is the result of an intensive search to develop a new major reference for this large professional market. All aspects of AC and DC power conversion are addressed and there is an emphasis on the design process throughout as well as safety and reliability. This is the most comprehensive treatment of all aspects of power electronics ever presented in one volume at such a reasonable price. This book serves as an invaluable reference to Power Electronics Design, covering the application of high-power semiconductor technology to large motor drives, power supplies, power conversion equipment, electric utility auxiliaries and numerous other applications. Design engineers, design drafters and technicians in the power electronics industry, as well as students studying power electronics in various con****s, will benefit from Keith Sueker's decades of experience in the industry. With this experience, the author has put the overall power electronics design process in the con**** of primary electronic components and the many associated components required for a system. Power Transformers features extensive coverage on zigzag, Scott, tee, wye, and delta connections … tap changing under load and variable-phase shifting … advantages and disadvantages in coil selection and construction … symmetrical components … transformer nameplate rating, thermal capability, and rate calculation of loss of life … abnormal operating conditions such as overloads, short circuits, single phasing from primary fuse operations, ferroresonance, and voltage surges … proper system design and selection to reduce faulty operation … and preventive and predictive maintenance, good utility practices, factory and field testing, and failure rate analysis. Typical practical applications of VSDs in process control and materials handling, such as those for pumping, ventilation, conveyers, compressors and hoists are covered in detail. The Enron scandal notwithstanding, it is important for professionals in the electric power industry and related positions gain a solid understanding of electric power systems and how they work. Written by two veteran power company managers and respected experts, this is a real-world view of electric power systems, how they operate, how the organizations are structured, and how electricity is regulated and priced. Covers electric power system components, electricity consumption, generation, transmission, distribution, electric utility operation, electric system control, power system reliability, government regulation, utility rate making, and financial considerations.